Erma Lucille Letterle, 83, of Chestnut passed away on June 28, 2017 at Vonderlieth Living Center in Mt. Pulaski. Erma was born on September 27, 1933 in Warrensburg, IL the daughter of Anton and Mary (Woodside) Horn. She married Oliver Letterle on May 17, 1952 in Mt. Pulaski, IL, he survives. Erma is also survived by her children: Tony (Eva) Letterle of Mt. Pulaski, Patricia (Kevin) Jason of Chestnut, Kevin (Kathy) Letterle of Robinson, IL, and Bryan (Shelley) Letterle of Mt. Pulaski; her daughter-in-law, Lynda Letterle of St. Joseph; her brother, Floyd (Betty) Horn of Decatur; her sister, Hazel Agee of Maroa; her nine grandchildren, Michael Letterle, Angie Stewart, Mary Jane (Ben) Gilly, Stephanie (Jordan) Klein, Ryan (Jess) Jason, Korey (Rebekah) Letterle, Kody (Ashley) Letterle, Olivia Letterle, and Jamee Letterle; her ten great-grandchildren, Jade, Makayla, Keyleigh, Chasey, Kendra, Elliana, Levi, Miles, Isabelle, and Isaac. She is preceded in death by her parents, her son, David, and her brother, Howard. Erma loved to babysit and drive kids to school in the school bus. She also enjoyed doing jigsaw puzzles. Services for Erma will be held at 12:00P.M. noon on Saturday, July 1, 2017 at Fricke-Calvert-Schrader Funeral Home, Mt. Pulaski with Mark Weber officiating. Visitation will be held one hour prior to the service (11:00-12:00P.M.) on Saturday, July 1, 2017 also at the funeral home. Burial will follow the services at Lake Bank Cemetery in Mt. Pulaski, IL. Memorial donations may be made in Erma’s name to Chestnut EMS. 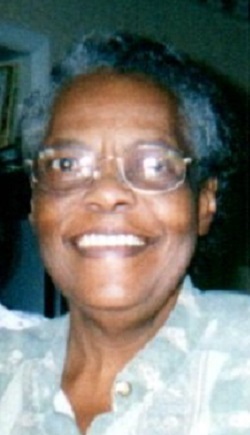 Jean Marlene Naylor, age 81, of Quitman, Arkansas passed away June 26, 2017. Born July 5, 1935 in Lincoln, Illinois she was the daughter of the late Harrison and Eunice Naomi Shyer Vandevender. She was a retired employee of the Illinois Secretary of State’s office. Jean was member of the American Legion Auxiliary and the Cleburne County Extension Homemakers. 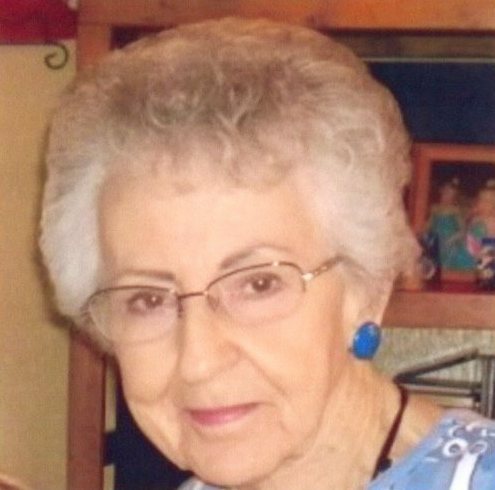 Her hobbies included making crafts, sewing, quilting, she loved to travel and visit with family, grandchildren and great grand children. She was preceded in death by her parents; husband, Ronald Scott; daughter, Melody Reed; brothers, Hershel and Clifford Vandevender; children’s father, Frank Naylor, Sr. and one step-son, Douglas Scott and a sister, Fern Sotzen. Survivors include: three daughters, Tracey Hutchinson of Heber Springs, AR; Penny Patton and husband Steve of Vienna, Illinois, Beverly Parker of Hopewell, AR; son, Frank Naylor Jr. of Mt. Pulaski, eighteen grandchildren and step-grandchildren; twenty-eight great and step great children and seven great-great grandchildren. Visitation for Jean will be from 5:00-7:00 p.m. Friday June 30, 2017 at Fricke-Calvert-Schrader Funeral Home in Mt. Pulaski, IL. Graveside service will Saturday, July 1, at 10:00 a.m. at Mt. Pulaski Cemetery, Mt Pulaski, Illinois. 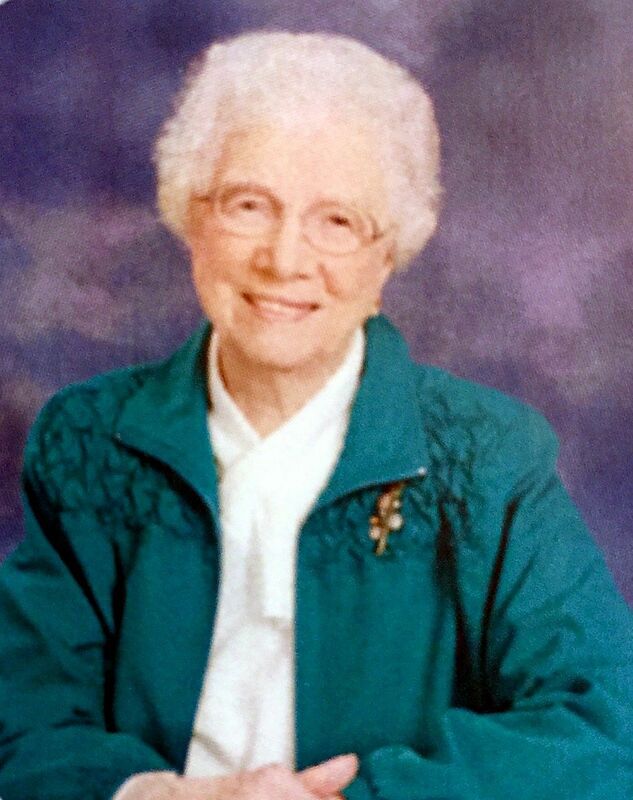 Joan Halm Crumbaugh, 84, of LeRoy, Illinois, passed away at 10:28 P.M., Friday, June 23, 2017, at Advocate BroMenn Medical Center, Normal, Illinois. A Graveside Service will be at 11:00 A.M., Wednesday, June 28, 2017, in Peru City Cemetery, Peru, Illinois, with Abbott Phillip Davey of St. Bede Abbey officiating. Calvert-Belangee-Bruce Funeral Home, LeRoy, Illinois is in charge of arrangements. Joan was born August 6, 1932, in Spring Valley, Illinois, a daughter of John and Mary Marenda Balsavich. She married Roger Halm on August 7, 1954, in Spring Valley, Illinois. He passed away July 10, 1969. She married Richard Crumbaugh on December 27, 1975, in Bloomington, Illinois. He passed away September 19, 2008. Surviving are sons, David (Cheryl) Halm of Peoria, Illinois; Gregory (Carrie) Halm of Jacksonville, Florida; daughter, Nancy Halm of LeRoy, Illinois; eight grandchildren; and six great-grandchildren. She was preceded in death by two brothers, Paul and Abbott Marion Balsavich. Joan attended Sacred Heart in Farmer City. She was a member of the LeRoy Garden Club. She was a loving mother, grandmother, great-grandmother and devoted friend who will be deeply missed. Memorial donations may be made to St. Bede Academy, 24 US – 6, Peru, Illinois 61354. Michael Christopher Aper, 36, of Lincoln passed away on Thursday June 22, 2017 at 7:20a.m. at his home after a brief illness. Michael was born September 12, 1980 in Lincoln the son of David Eugene and Kim (Windschanz) Aper. Michael is survived by his parents, David and Kim Aper of Lincoln, his children: Ella, Brayden, and Paternal Grandmother Mary Ann Aper of Lincoln. He was preceded in death by his paternal grandfather and maternal grandparents. A Celebration of Life gathering will be held at the Lincoln American Legion Post #263 from 2:00-4:00 P.M. Saturday July 1, 2017. The family would like to extend a special thank you to David and Katie Parn for their special care and support. Memorials may be made to the Michael C. Aper family. Fricke-Calvert-Schrader Funeral Home, Lincoln is entrusted with the arrangements. Anna Louise Shockey, 92, of Lincoln passed away on Thursday, June 22, 2017 at The Christian Village in Lincoln. Anna was born on November 15, 1924 in Lincoln, IL the daughter of Joseph Charles and Olga Clara (Ahrens) Buckstegge. She married Jerry Bock Shockey on November 24, 1948 in Lincoln, IL at Anna’s grandparents’ home. He preceded her in death on April 21, 2012. Anna is survived by her two daughters: Gail (George) Petro of Lincoln, Melissa Shockey of Springfield, two sons: Roger Shockey of Cape Coral, FL, and Jerry Bock Shockey (Heather Haborstroh) of Tucson, AZ, her sister: Dorothy Harrison of Lincoln, IL, three grandchildren: Ben (Sarah) Petro of St. Charles, IL, Drew Von Waldner of Denver, CO and Taylor Shockey (Justin Joyce) of Cincinnati, OH; two great grandchildren. Anna graduated from Memorial School of Nursing in 1946. She attended school through the Cadet Nurse Program. She also attended St. Francis College in Joliet, IL and graduated with her Bachelor of Science in Nursing. Anna worked as a registered nurse at Abraham Lincoln Memorial Hospital and with Dr. Arthur Williamson. She was a member of the Trinity Episcopal Church, Lincoln, and American Legion Auxiliary Post#263. A celebration of life for Anna will be 2:00 p.m. Friday June 30, 2017 at Trinity Episcopal Church in Lincoln, IL with Father Mark Evans officiating. Visitation will be one hour prior to service. In Lieu of flowers memorials may be made in Anna’s name to The Christian Village of Lincoln, Trinity Episcopal Church, or Donor’s Choice. Services are entrusted to Fricke-Calvert-Schrader Funeral Home in Lincoln, IL. Suzanne E. Aper, 73, of New Holland, IL died at 12:15 a.m. June 23, 2017 at her home. Suzanne was born on December 7, 1944 in Lincoln, IL, the daughter of Gilbert and Dixie (Long) Blaum. She married Myron Aper on June 16, 1963 in New Holland. He preceded her in death on March 2, 2016. Surviving Suzanne is her children: Teresa (Otis) Tripplett of Middletown, IL, Tim Aper of New Holland, IL, and Butch Long of Bloomington, IL; three grandchildren: Bret, Nicole, and Brandon; one brother: Dr. Gene Blaum of Springfield, IL. She was preceded in death by her parents. Suzanne was a receptionist/office manager for Dr. Miller for 41 years; she currently worked for Midwest dental. She was a member of Zion Lutheran Church in New Holland, IL. She was elected mayor of New Holland in 2009 and held the position currently. She and Myron ran Aper’s crafts for 25 years, enjoyed going to craft shows, and she was a real estate agent for several years. She loved spending time with family and friends. Services for Suzanne will be 11:00 a.m. Tuesday June 27, 2017 at Zion Lutheran Church in New Holland, IL with Rev. Charles Olander officiating. Visitation will be from 4:00-7:00 p.m. Monday June 26, 2017 at Fricke-Calvert-Schrader Funeral Home in Lincoln, IL. Burial at Richmond Grove Cemetery will follow the service. Memorials may be made in Suzanne’s name to Zion Lutheran Church or New Holland Fire Department. 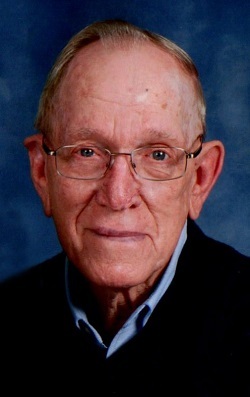 William Joseph "Joe” Matthews, 93, of Mt. Pulaski passed away on Thursday, June 22, 2017 in his home. Joe was born on August 31, 1923 in Mt. Pulaski, IL, the son of William and Irene (Volle) Matthews. He married Jean Ogden in St. Louis, MO, in 1961. She preceded him in death on May 12, 2005. 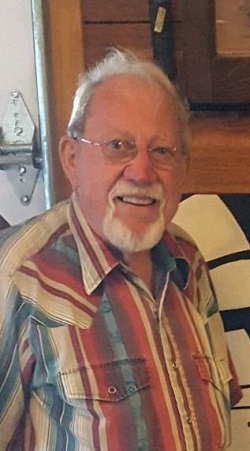 Joe is survived by his children: Jennifer Fettis, Peter (Pam) Matthews, Jacquelyn (Bob) Laurent, and Colin Matthews; his brother: Paul Matthews; his sister-in-law: Pauline Matthews; eight grandchildren and four great-grandchildren. Additionally, Joe is survived by his very good friends Derek (Renee) Martin and Denise "Bama” Quinn. Joe was preceded in death by his wife, his parents, his brother Bob, and his sister Helen. Joe proudly served in The U.S. Army during World War II and The Korean War. He was also a member of various clubs including The Knights Templar, Masonic Lodge, Shriners, Rotary, and the Clinton Elks Club. A memorial gathering will be held in Joe’s honor from 4:00-7:00P.M. on Thursday, June 29, 2017 at Fricke-Calvert-Schrader Funeral Home, Mt. Pulaski. Masonic Services will be performed by Mt. Pulaski Lodge #87 at 6:15P.M. on Thursday, June 29, 2017 also at the funeral home. A private family graveside service will be held at a later date at Camp Butler National Cemetery. Memorial donations may be made in Joe’s name to The Mt. Pulaski Masonic Lodge #87. 25, 2017 at McLean County Nursing Home, Normal, IL. officiating. Visitation will be 5 - 7 PM, Thursday at the funeral home. He was preceded in death by his parents and 1 sister, Betty Baker. McLean Co. Nursing Home, Normal, IL for their excellent care. Steven D. Sebok, 62, passed away on June 22, 2017, surrounded by family. A memorial service will be held on Tuesday, June 27, 2017, at 5:30 p.m., Brintlinger and Earl Funeral Homes. Visitation follows from 6:00 to 8:00 p.m.
Steve was born on July 26, 1954, in Decatur, Illinois, son of Joseph and Margaret Sebok. He graduated from Niantic Harristown High School in 1972. He began making cabinets alongside his brother at the age of 13 and embarked on his lifelong career as a skilled craftsman after graduation. Steve never met a stranger, he loved the simple things in life, treasured spending time with friends and family, and adored his grandchildren. Left to cherish his memories are his wife Debbie of Forsyth; their daughters Tina and Zach Palmer of Forsyth; Lori and Joey McCoy of Forsyth; grandchildren Hailee, McKayla, Shae, Kylee, Keegan, Chloe, Ryne, and Cruz; brother Joseph James Sebok, Jr. of Decatur, sister Judy and husband Phillip Gallagher of Decatur, and beloved nieces and nephews. Steve was preceded in death by his parents and his sister Peggy McGhee. Steve’s golden heart stopped beating and his hard working hands are at rest. Our hearts are broken, God has taken one of the best. Janet Wilson Smith, 62, of LeRoy, died at 10:45 a.m. on Wednesday (June 21, 2017) at Advocate BroMenn Medical Center, Normal. There will be a funeral service for Janet at 1 p.m. Wednesday at Northside Church of Christ, Normal. Minister Larry Sharp will officiate. There will be a visitation from 11 a.m. to 1 p.m. at the church prior to the funeral. Interment will be in Secor Cemetery, Secor. Calvert & Metzler Memorial Home, Bloomington, is handling arrangements. Janet was born on July 4, 1954, in Bloomington, to Frank and Betty Barnett Wilson. Celebrating her birthday along with the birthday of our nation was always a big deal to her and it was an event every year. She married Roger Smith on March 23, 1985, in Funks Grove. He survives. Also surviving are her children, Kristen Smith, LeRoy; Katelyn Smith, St. Louis, Mo. ; JT Hollenstain, Bloomington; and Sarah Smith, LeRoy; and her siblings, Linda (Warren) Johnson, Salida, Colo.; Jim (Mary) Wilson, Benson; and Pat (Ed) Fox, Secor. She was preceded in death by her parents and one nephew, Andrew Johnson. For over 30 years, Janet worked for area doctors as a registered nurse, coding specialist and office manager. She loved what she did but her true passion was being a mother, a wife and friend to all. In lieu of flowers, memorial contributions may be made to Central Illinois Small Animal Rescue, Colfax. Edward J. Shepherd, 45, of Saybrook, Illinois, passed away at 11:55 A.M., Wednesday, June 21, 2017, in Windsor Township, Shelby County, Illinois. A loving and supportive husband of Michelle J. Shepherd of Saybrook, Illinois. I will miss dancing in the kitchen with you! A kind and adoring father to Sydney, Julia and Stella D. The beloved son of Fred and Vicki Shepherd of Saybrook, Illinois. The good-hearted brother of Tami (Steve) Martin and nieces Logan and Emily all of Morris, Illinois and Fred (Bea) Shepherd and nephews Patrick and Dylan all of Saybrook, Illinois. An avid hunter; Free Mason; Shriner; and lifelong NRA member; animal whisperer; and lover of everything outdoors. An incredibly hard working, fun loving guy that was a friend to everyone. A memorial service will be held at his house at 39130 S. East St., Saybrook, Illinois at 10:00 A.M., Sunday, June 25, 2017. You will be missed dearly, Eddie Shepherd. Patrick Lee Stafford, 73, of Mansfield, IL, passed away at 2:00 A.M., Monday, June 19, 2017 at his residence. Calvert-Belangee-Bruce Funeral Home, Mansfield, IL assisted the family with cremation rites. Patrick was born September 9, 1943 in Reno, Nevada, a son of Lee L. and Helen Fullam Stafford. He married Mary McKenzie on June 18, 1994 in Mahomet, IL. She survives in Mansfield, IL. 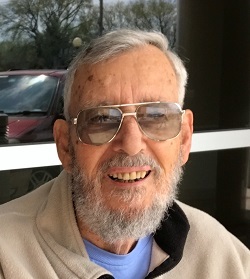 He is survived by his wife, Mary; sons, Patrick M. Stafford and Shawn Lee Stafford; step-sons, Mitchell (Mary) Crawford; Joe (Bonnie) Crawford; Charlie (Cindy) Crawford; Donald Crawford; step-daughters, Mander Vernell Crawford and Brenda (Jeff) Tucker; three grandchildren; several step-grandchildren; Several step-great-grandchildren; brothers, John P. (Denise) Jones and Stanley M. (Corrine) Jones; sister, Kathleen (Ken) Currie. Preceded in death by parents, and 3 step-great grandchildren. Patrick was a retired machinist from Kraft Foods. He was a Navy veteran of the Vietnam War. Ellyn Campbell, 66, passed away at her home on June 17, 2017 at 12:35 AM. Ellyn was born on July 10. 1950 in Springfield, IL; Daughter of John and Phyllis (Anderson) Campbell. Ellyn is survived by one brother: Kevin (Paula) Campbell of Decatur, IL., one niece, Julie (Michael) Clark, and one nephew Joseph Campbell, both of Decatur, and four great-nieces. She was preceded in death by her parents, and one infant brother: John Spencer Campbell. Ellyn developed Cerebral palsy at birth and faced many challenges in her life. 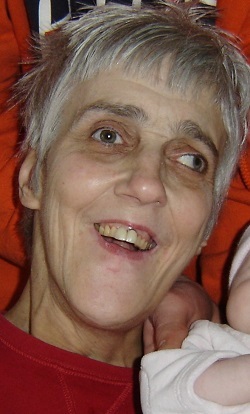 At age 10, Ellyn became a resident of Lincoln Developmental Center (LDA) until 2002. After spending a year in a group home in Tinley Park, IL, Ellyn returned to central Illinois to a CTF group home in Atlanta, and then finally in Lincoln. Ellyn loved to attend summer camp each year, and loved fishing, boating and making crafts. 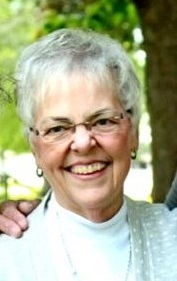 Ellyn loved Jesus and was a member of Faith Lutheran Church in Lincoln. The family would like to thank Linda Shafer for faithfully taking Ellyn to church for many years. Special thanks go to Ellyn’s extended family at CTF that took such excellent care of her: Brandy Smith, Sarah, Jessica, Amanda, Stellakay, Steven, Chelsee, Cara, Bradly, Skylir and Shay. Services for Ellyn will be 11:00 a.m. Saturday June 24, 2017 at Fricke-Calvert-Schrader Funeral Home in Lincoln, IL with Rev. Mark Peters officiating. Visitation will be one hour prior to service (10:00-11:00 a.m.) Burial at Oak Ridge cemetery will follow the service. Memorials may be made to United Cerebral Palsy, and Faith Lutheran Church. Donald was born on August 6, 1927 in Hartsburg, IL. the son of Carl and Lena (Skonetski) Ramlow. He married Vera Hutchison on October 17, 1948 in Broadwell, IL. she survives in Lincoln. Services for Donald will be held at 10:00A.M. on Thursday, June 22, 2017 at Lincoln Christian Church in Lincoln with Tim Searby officiating. Visitation will take place from 4:00-7:00P.M. on Wednesday, June 21, 2017 also at the church. Burial will follow the services at Zion Cemetery in Lincoln where full military rites will be accorded by the Lincoln American Legion Post #263. Memorial donations may be made in Donald’s name to Jolly Seniors or Land of Lincoln Honor Flight. Services have been entrusted to Fricke-Calvert-Schrader Funeral Home, Lincoln. 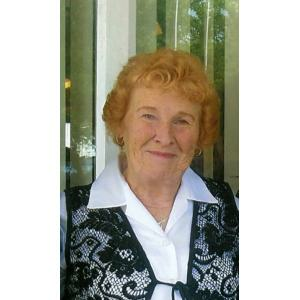 Margaret E. (LaMar) Werner 86 of Maroa, Illinois passed away 3:33 PM June 20, 2017 at Decatur Memorial Hospital, Decatur, IL. Services will be 10 AM, Monday, June 26, 2017 at Calvert Funeral Home, Maroa, IL with Rob Talbot officiating. Burial will follow at Maroa Cemetery, Maroa, IL. Visitation will be 5 – 7 PM, Sunday, June 25, 2017 at the funeral home. Memorials may be directed to the Margaret Werner Memorial Fund. Margaret was born July 31, 1930 in Latham, IL the daughter of Wendell and Sarah (Hays) Duncan. She married Bertel Beard “Blue” LaMar September 3, 1948. He passed away July 8, 1969. Survivors include her children: Juanita (James) Bona, Florence, AZ; Danny (Charlotte) LaMar, Maroa, IL; and Darla (Rob) Talbot, Mesa, AZ; 10 grandchildren, 10 great-grandchildren; and 1 great-great-granddaughter. She was preceded in death by her parents, 5 brothers, and 7 sisters. Hal R. Clark, 71, of Saybrook, Illinois, passed away at 1:47 P.M., Sunday, June, 18, 2017 at Gibson City Area Hospital, Gibson City, Illinois. Visitation will be from 10:00 – 11:00 A.M., Thursday, June 22, 2017 at Calvert-Belangee-Bruce Funeral Home, Saybrook, Illinois. A funeral service will follow at 11:00 A.M. with Pastor Wayne Giermann officiating. Burial will be in Riverside Cemetery, Saybrook, Illinois. Memorial donations may be made to the Gibson City Area Ambulance. Hal was born April 16, 1946, a son of Eugene and Edith Miller Clark. He married Barbara Taylor on November 13, 1966. She survives. Surviving are three sons, David (Ashley Simpsen) Clark of Farmer City, Illinois; Jason (Dakota) Clark of Saybrook, Illinois; Lucas Clark of Saybrook, Illinois; seven grandchildren, Amara; Jaron; Wesley; Austin; Trevor; Rocco Clark; Leona Rodriguez; two brothers, Warren (Charlotte) Clark and Mark (Peggy) Clark of Saybrook, Illinois; two sisters, Connie Key of Georgia and Marian (Kenneth) Morgan of LeRoy, Illinois. He was preceded in death by three sisters, Marilyn, Lila and Donna. Hal was an Army veteran, a great brother, husband, father and grandfather. He loved his faithful companion, Polar. He was a Ford man and a diesel mechanic for over 40 years. He will be dearly missed by all that knew him. Charles Robert "Bob" Lord, Sr.
Charles Robert (Bob) Lord, 86, of Clinton passed away on Fri. June 16, 2017 at home surrounded by family. There will be no visitation or funeral service. There will be a open house on Tues, June 20, 2017 from 2pm to 4 pm at the home of Bob & Pat Lord -- 516 S. East St, Clinton, Il 61727. Bob was born January 26, 1931 to Henry and Mary Hammer Lord. He married Patricia Willoughby on February 27, 1954. She survives. Other Survivors include 1 son Charles Robert (Robbie) of Riverview, Fla. 3 daughters: Denise Becker of Mattoon, Teresa (Chester) Walker of Waynesville and Cindy Monkman of Clinton. 4 grandchildren & 2 great-grandchildren. Also, special Nephew Doug Willoughby & family of Clinton. Bob was preceded in death by his mother, father, sister & brother. 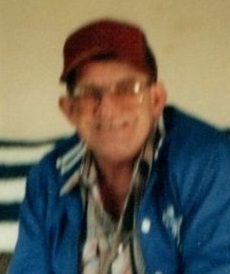 Bob was a member of Clinton Eagles & Elks. He worked various construction jobs through the years & retired as a bartender from the Vermillion Bowl after 30 years of service. Bob was an avid Chicago Cubs & Bears fans. Bob loved to golf & sports in general. Memorials may be made to Safe Haven Hospice Care in Lincoln, Il., or Warner Hospital & Health Services in care of Family Medicine. Gayle McKee, 82, of Mansfield, Illinois, passed away at 5:00 P.M., Thursday, June 15, 2017 at Kirby Medical Center, Monticello, Illinois. A graveside service will be held at 11:30 A.M., Monday, June 19, 2017 at Mansfield Cemetery, Mansfield, Illinois with Pastor Ed Davis officiating. Visitation will be from 10:00 A.M. - 11:00 A.M., Monday, June 19, 2017 at Calvert-Belangee-Bruce Funeral Home, Mansfield, Illinois. Mr. McKee was born October 7, 1934 in Mansfield, Illinois, a son of, Frank and Pauline Smock McKee Sr. He married Patricia Joan “Pat” Cheser on May 15, 1965 in Monticello, Illinois. She passed away, February 19, 2002. Survivors include two sons, Martin G. McKee of Chicago, IL and Matthew C. (Amanda) McKee of Florissant, MO; one brother, Frank McKee Jr. of Ft. Pierce, FL; and one sister, Marilyn (Robert) Harvey of Urbana, IL. He is preceded in death by his parents and three brothers, Robert, Harold, and Donald McKee. Gayle served in the U.S. Army from 1957 to 1958 and was stationed in Germany. He worked for Clifford & Jacobs Forging Company, Champaign, Illinois for 38 years. 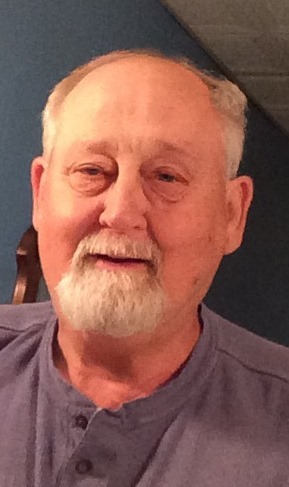 Douglas Allen Gondek, 66 of Decatur, IL passed away 9:50 A.M. June 15, 2017 at his family home in Decatur, IL. Doug was born September 24, 1950 in Michigan City, IN the son of Edward and Allene (Eikelberg) Gondek. He married Edna M. Hale (Fleischauer) June 20, 1981 in Decatur, IL. Surviving Doug is his wife: Edna M. Gondek, Decatur, IL; sisters: Peggy (Tom) Bushore, Fleshing, MI, Marylou (Greg) Goode, Fort Lauderdale, FL; brothers: Patrick (Diane) Gondek, Brimingham, AL, David (Susan) Gondek, Viera, FL. He didn’t have kids of his own but really he did: step-daughter: Debbie Ellen (Greg) Ooton; step-sons: Brad (Eva) Hale, Greg (Renee) Hale, Sr.; grandchildren: Sean Hoelzen, Wesley Ooton, Gregory (Julie) Hale, Jr., Adam (Courtney) Alburtis and Whitney Ooton; 6 great grandchildren. Doug was a truck driver working for ADM Trucking and later Farmer’s Express. He enjoyed collecting and selling guns, along with poker games. But most of all he enjoyed his family, especially his grandkids. 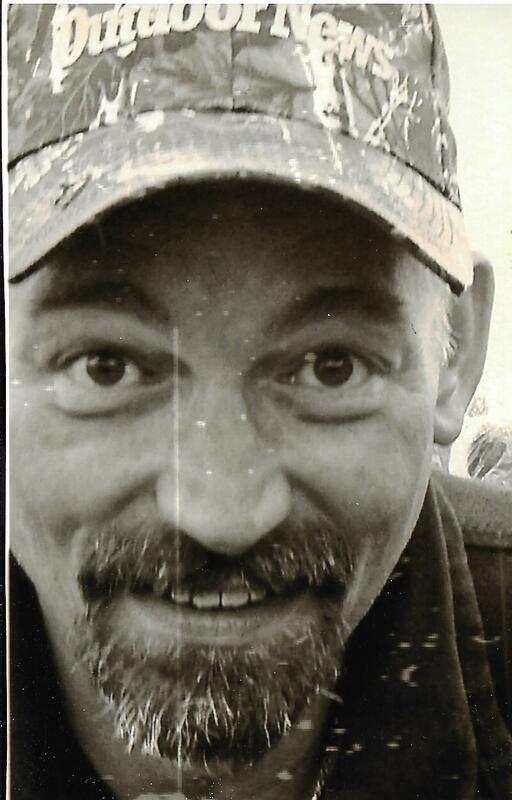 Micah Bradley "Bubba” Wakeman, 43, of Mt. Pulaski passed away on Tuesday, June 13, 2017 in Emden, IL. Micah was born on December 25, 1973 in Decatur, IL. the son of Jerry Wakeman and Gwendolyn Gilman. Micah married Laura Pierdos on September 22, 1995 in Westfield, IN. Micah is survived by his wife: Laura Wakeman; his children: Ashton, Emily, Josie, and Zeke Wakeman all of Mt. Pulaski; his father: Jerry (Gail) Wakeman; his mother: Gwen Wagner; his sisters: Cynthia (Scott) Broadway of Westfield, IN, Heather (Rodney) Case of Arcadia, IN, and Amanda (Jim) Grubaugh of Cicero, IN; his brother: Andrew (Jenny) Wakeman of Amelinghousen, Germany; his step-sister: Kristin (Jason) Quimby of Anderson, IN; his mother-in-law: Deborah Pierdos; father-in-law: John Pierdos; sister-in-law: Lisa (Luke) Gilliatt of Westfield, IN; 16 aunts & uncles, 14 nieces & nephews and numerous cousins. Additionally, Micah was a father figure to TeNejah and Taylah; as well as many other foster children. First and foremost he was a servant of Christ. Because of this he was able to serve his family, his church, and his community selflessly. He found joy in farming and had a passion for the fatherless which led him to foster children in need--causing him to lead mission trips around the world. 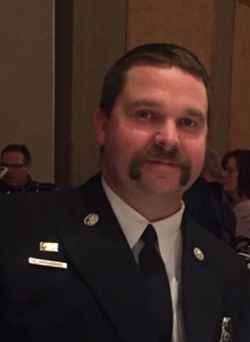 Micah was a Firefighter in Decatur, IL. He was an elder at Mt. Pulaski Christian Church where he also taught Sunday school, was a youth group leader, and filled countless other roles. He was associated with the Emmaus Community and was the Director of Mt. Pulaski EMS. Services for Micah will be held at 11:00A.M. on Tuesday, June 20, 2017 at Life Foursquare Church in Decatur, IL with Mark Weber officiating, where full Fire Department Honor Guard services will be accorded. Visitation will take place from 3:00-7:00P.M. on Monday, June 19, 2017 at Mt. Pulaski Christian Church (in the Family Life Center). Fire Department line up will be at 5:30P.M. with the Fire Department walk through at 6:00P.M. Burial will take place after the services at Illini Cemetery in Warrensburg, IL. In lieu of flowers, memorial donations may be made in Micah’s name to The Micah Wakeman Memorial Fund. Services have been entrusted to Fricke-Calvert-Schrader Funeral Home in Mt. Pulaski. Donald E. Semple, 84, of New Holland passed away on Sunday, June 11, 2017 at St. Clara’s Manor in Lincoln. Donald was born on July 16, 1932 in New Holland, IL the son of John and Lorene (Langenbahn) Semple. He married Barbara Allison on August 16, 1953 in New Holland, IL. She survives. Donald is also survived by his children: Leland (Becky) Semple of Hartsburg, and Melinda Semple of Springfield; his grandchildren, Kara Costello of Pleasant Prairie, WI, Scott Semple of Hartsburg, Erin Semple of Lincoln, and Mitchell Semple of Bloomington; his brother, Wayne Semple of Decatur; his sister, Doris Kelly of Farmer City; additionally he is survived by two great-grandchildren. Donald was preceded in death by his parents and one brother. Donald was a member and the Finance Officer of the Porter Bell American Legion Post #715 for 26 years. Donald proudly served his country in The U.S. Army where he spent 19 months in Korea; prior to his service he had engineering training in Fort Leonard Wood, MO. 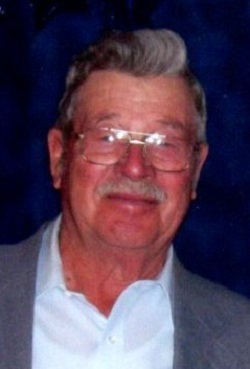 Donald was a member of the Logan Co. Farm Bureau and The Richman Community Club. He enjoyed camping, farm auctions, thrasher shows, dancing, and polka music. Services for Donald will be held at 10:00 A.M. on Friday, June 16, 2017 at Fricke-Calvert-Schrader Funeral Home in Lincoln with Rev. Stephanie McCullough officiating. Visitation will also be at the funeral home from 5:00-7:00P.M. on Thursday, June 15, 2017. Burial will follow the services at Richmond Grove Cemetery in Hew Holland. Memorial donations may be made in Donald’s name to Porter Bell American Legion Post #715. Larry Funk, 85, passed away at 12:57 a.m. Saturday June 10, 2017 at St. John’s Hospital in Springfield, IL. Larry was born on February 20, 1932 in Lincoln, IL; son of Daniel and Lula (Huff) Funk. He married Patricia Rickord on June 22, 1952 in Lincoln, IL. She preceded him in death on July 2, 2011. Surviving Larry are his two sons: Michael (Sandra) Funk of Williamsville and Daniel (Sheri) Funk of Flatrock; five grandchildren: Evan, Ashton, Matt, Megan, and Dustin; and his four legged companion: Cha Cha. He was preceded in death by his parents, two sisters, six brothers, and one granddaughter: Katie Jo. Larry was a United States Air Force veteran. He was a member of Lincoln Christian Church, Masonic Lodge, Ansar Shrine, Scottish Rite, and Eastern Star. Larry had a green thumb and enjoyed taking care of his flowers and plants. As an avid fisherman, he also shared many great memories with his family on several fishing trips. Masonic Services for Larry will be 11:00 a.m. Thursday June 15, 2017 at Fricke-Calvert-Schrader Funeral Home in Lincoln, IL conducted by the Lincoln Masonic Lodge #210 following Masonic services a funeral service will be held with Ron Otto officiating. Visitation will be from 9:30-11:00 a.m. prior to the service. Burial will follow the service at Zion Cemetery where full military rites will be accorded by the American Legion Post #263. Memorials may be made in Larry’s name to the American Kidney Fund. 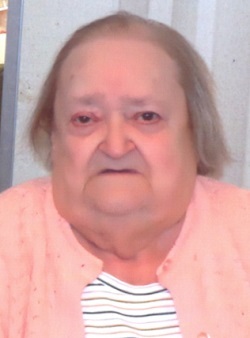 Beverly J. Bryant, 77 of Clinton, IL passed away 7:10 A.M. June 12, 2017 at the Warner Hospital and Health Services. Graveside Services will be 10 A.M. Saturday, June 24, 2017 at Woodlawn Cemetery, Clinton, IL. Family entrusted Calvert Funeral Home, Clinton, IL with arrangements. Memorials maybe directed to Warner Hospital Health Services Family Medicine. Beverly was born June 1, 1940 in McLean Co., IL the daughter of Leslie and Edna (Ratliff) Hasler. She married Clarence Wendell Bryant on December 7, 1958 in Clinton, IL. He passed in August of 1981. Survivors include her son: Ira (Christine) Bryant, DeWitt, IL; William G. Bryant, Clinton, IL; several Grandchildren and Great-grandchildren; along with one sister: Mary Lou Shockey, Maroa, IL. 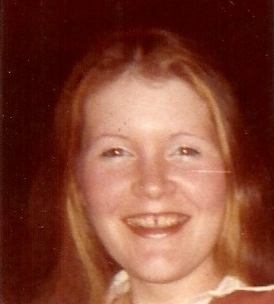 She is preceded in death by her parents; one daughter; Cathy J. Miller; one brother; and 3 sisters. Beverly was a loving mother and grandmother, and loved just about everyone she met. She was an avid Cubs fan. 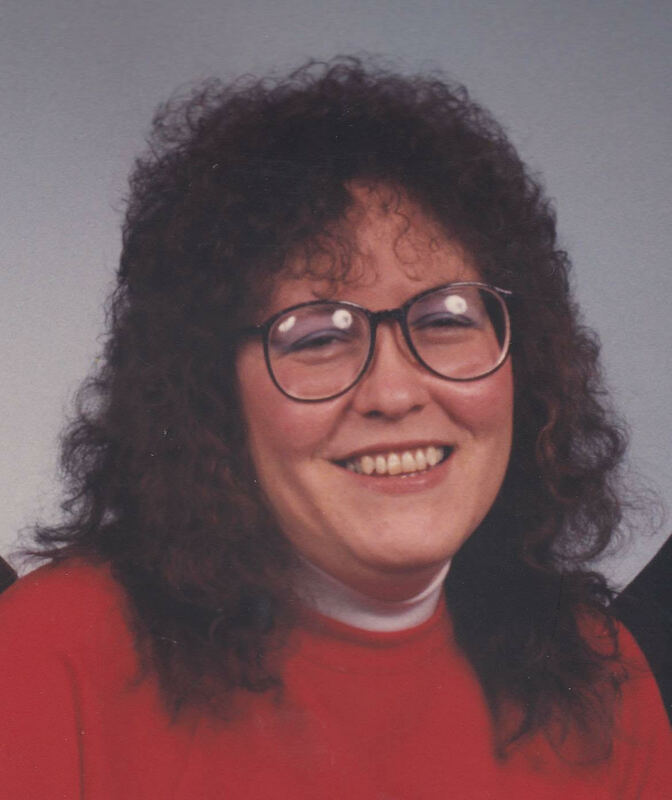 Katherine M. “Kathy” Staton, 61 of Clinton, IL passed away 12:40 P.M. June 11, 2017 at her family home in Clinton, IL. Services will be 11 AM Saturday June 17, 2017 at Calvert Funeral Home, Clinton, IL with J. Kent Hickerson officiating. Burial will follow at McClimans Cemetery, Hallsville, IL. Visitation will be from 10 – 11 AM June 17, 2017 at Calvert Funeral Home, Clinton, IL. Memorials may be directed to Kathy Staton Memorial Fund. Kathy was born March 6, 1956 in Clinton, IL the daughter of Ellis E. and Bonnie (Floyd) Stone. She married Marvin Staton September 3, 1976 in Clinton, IL. Survivors include her husband: Marvin Staton, Clinton, IL; son: Nick Staton and grandson: Dexter of Clinton, IL; brother: Bill (Debbie) Stone, Mansfield, IL; sister: Barb (Gene) Towns, Harvest, AL; son: Thomas (Elizabeth) Staton, Lincoln, IL along with 4 grand and 4 great-grandchildren. She was preceded in death by her parents and one sister: Sue (Stone) Overcash. Kathy was owner and operator of the restaurant K&M Yak Shak in Clinton, IL. She loved her restaurant and enjoyed spending time with her customers, but especially loved spending time with her family. She was a member of the Clinton Eagles Lodge. Kathy was a die-hard Cubs fan. Norman L. Simmons, 77 of Wapella, IL, passed away peacefully at 9:35 P.M. Monday, June 12, 2017 at St. John’s Hospital, Springfield, IL. Celebration of Norman’s life will be 11:00 A.M. Friday, June 16, 2017 at the Family Life Center at the First Christian Church Clinton, IL with J. Kent Hickerson officiating. Visitation will be 5 – 7 Thursday, June 15, 2017 at Calvert Funeral Home, Clinton, IL. In lieu of flowers, memorials may be directed to St. John’s Hospital, First Christian Church, or Second Chance Pet Adoption. Norman was born July 23, 1939 in Lane, IL, the son of Robert and Marie (Cowles) Simmons. He married Sharon Phelps on June 25, 1961, in Clinton, IL. They had two daughters, Janet (Mark Johnson) and Mary Beth (Lora Novak). On February 10, 1990, he married Kelley Fryman in Maui, HI. Survivors include his wife: Kelley Fryman, Wapella, IL; daughters: Janet and Mary Beth; grandsons: Hunter, Connor, and Kyler, along with numerous adoring nieces and nephews. “Stormin’ Norman” was a member of the Clinton Country Club for 59 years. He defined the term “avid golfer” with a number of club championships and twelve holes-in-one. Besides golf, he loved his family, a good martini with a blue cheese olive, and breakfast with his golf buddies every Thursday. Memorials may be made out to the Alzheimer's Foundation of America 322 Eighth Ave., 7th fl. New York, N.Y. 10001. Jane Geske Amerman, 95, of Heyworth, passed away at 11:07 p.m. Friday (June 9, 2017) at Heritage Health, Bloomington. Jane was born Sept. 22, 1921, in Randolph, to Al and Florence Smith Geske. She married Kenneth Amerman on April 8, 1944, in LeRoy. He preceded her in death on July 4, 1979. Surviving are a daughter, Melissa (Larry) Ross, Matthews, N.C.; four grandchildren, Stacy (Todd) O’Sadnick, Mendota; Eric (Heather) Ross, Worthington, Ohio; J. Bryce (Moriah) Davis, Westerville, Ohio; and Megan (Daniel) Charlton, Concord, N.C.; and 10 great-grandchildren. 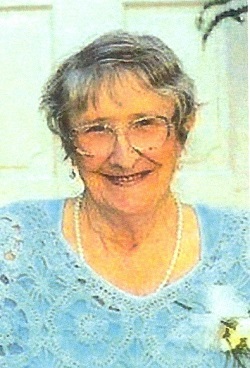 Jane was a very active member of Heyworth Christian Church and active in her community. Jane’s celebration of life will be at 11 a.m. Tuesday at Heyworth Christian Church with Pastor Vernon Oakley and Pastor Pete Hopkins officiating. Burial will be at East Lawn Memorial Gardens, Bloomington. Visitation will be 5 to 7 p.m. Monday at Calvert & Metzler Memorial Home, Bloomington, and an hour prior to the service Tuesday at the church. Memorials may be made to Heyworth Christian Church missions for the spread of the gospel of Jesus Christ. Springfield Memorial Hospital, Springfield, IL. No services are planned at this time. Calvert Funeral Home assisted the family with cremation rites. Sarah was born August 18, 1958 in Clinton, IL the daughter of John Richard and Phyllis Jean (Lange) Alwood. She married Michael Terence Terry February 19, 1977 in Clinton, IL. Survivors include her husband, Michael Terry, Clinton, IL; daughters: Christy (Thomas) Terry-Porter, Weldon, IL and Theresa Terry, Clinton, IL; mother; 5 grandchildren, 9 sisters and 2 brothers. She was preceded in death by her father and 2 brothers. Kathleen Ruth Dalton, 88, of Weldon, passed away at 5:20 p.m. Thursday (June 8, 2017) at St. Mary’s Hospital, Decatur. Her service will be 10 a.m. Wednesday at Weldon Baptist Church, with Brother Barry Lawson and the Rev. Clyde Shreve officiating. Burial will follow at Weldon Cemetery. Visitation will be 5 to 7 p.m. Tuesday at the church. Memorials may be directed to Weldon Baptist Church. Kathleen was born Sept. 3, 1928, in Monticello, the daughter of Ceasar and Ada Johnson Eastham. She married Beecher Dalton Aug. 9, 1947. He passed away Feb. 4, 1993. Survivors include her son, Harold Dalton, Weldon; granddaughter, Darinda Ripper, White Heath; great-grandchild, Adam Ripper; sisters, Audrey Eastham, Russell Springs, Ky., and Delora Parker, Monticello; niece, Shirley Mae Lawson, Russell Springs, Ky.; and dear friends, the McDormand Family. She was preceded in death by her parents and siblings, Don Eastham, James Eastham, Cassie Cornthwarte, Edith Stephens, and Junior “Nook” Eastham. Kathleen was a member of Weldon Baptist Church. She was a cook for DeLand-Weldon School District and worked in the housekeeping department for Dr. John Warner Hospital, Clinton. Mackenzy Sue Ann Brown, 6 years old, of Lincoln IL, passed away at 9:10am Monday, June 5, 2017 at The Children’s Hospital of Illinois in Peoria. Visitation will be Monday, June 12th, 2017 from 4-7 pm. The funeral will be Tuesday, June 13th, 2017 at 10:00 am. Both will take place at the Lincoln Christian Church, 204 N. McLean St. Lincoln, IL 62656. Burial will be at the Harmony Cemetery in Beason, IL (Logan County). Mackenzy was born February 1st, 2011 in Lincoln, IL. The daughter of Jeremy Brown (Paula Lawhorn) and Tina Brown (Roger West). Mackenzy attended school at Chester East Lincoln Elementary in Lincoln where she just finished Kindergarten. Mackenzy was a daughter, granddaughter, great granddaughter, sister also the best friend of Bella her puppy. Mackenzy was a beautiful, outgoing, fun loving little girl with a touch of sass! She loved music, playing, dancing, shopping with mommy and fishing with daddy. She was loved by all! Mackenzy is survived by her parents as well as her siblings Steven, Kayleigh, Joanna, Jayden and Alivia Brown. Along with two step brothers Joshua and Paul Lawhorn of Mattoon, IL. Also surviving are her grandparents Julie Brown (Rex Gill), Frank Brown. Kathy Dale, and special friend Mary Martin as well as her special cousin Rachel Sexton all of Lincoln. Great Grandparents John and Ione Davison of Middletown as well well as Duane Perry also survive. She is also survived by several Aunts and Uncles including Jon (Samantha) Brown, Gina (Chris) Welchel, Robbie (Carrie) Dale, April Dale, Kim (Ron) Skelton, John Boswell (Cheryl Butts), Ella (Dean) Mahnke, Susan (Melvin) Schwenke, Tammy (Rob) Dunn, Twilla (Joe) Wilcoxen, Doris Brown, Roy Lawhorn, Jr., and Step Uncle Rex Gill, Jr. Preceding her in death were Great Grandma Nona Perry, Grandpa Roy Lawhorn, Sr., Grandma Emma Lawhorn, Great Grandparents Sara and Marvin Brown, Uncle Jason Brown and Grandpa Larry Dale. Although we mourn the loss of Mackenzy, we rejoice knowing that she will live on in the lives of others through The Gift of Hope Organ Donor Program. The family would like to say a special thank you to the caring staff at The Children’s Hospital of Illinois and The Gift of Hope as well as all the others who were involved with her care. The family would also like to thank all of their family, friends and members of the community for their loving support. Annie Mae Davis, 74, passed away at Memorial Medical Center, Springfield, IL on June 6, 2017 at 8:43 a.m.
Annie was born on December 30, 1942 in Mounds, IL. She is the daughter of Andrew and Ethel Nellie (Frazier) Hunt. Annie married Ronald W. Davis May 19, 1965 in Lincoln, IL. Annie was the last of her immediate family. She is preceded in death by her husband, Ronald Davis; parents; 1 child, Bonesia; 1 brother and 4 sisters. She leaves her loving memories to be shared with her surviving daughters: Rowlettia "Letia” (Doug) Gossard, Springfield, IL and Annettia Davis – Cook, MN; 5 grandchildren: E’pris Krushall, Josh (Courtney) Gossard, Aly Gossard, Davin McCray and Janeesa Cook. Annie valued education. She was Valedictorian of her class and went on to earn a degree in nursing at Carbondale University. 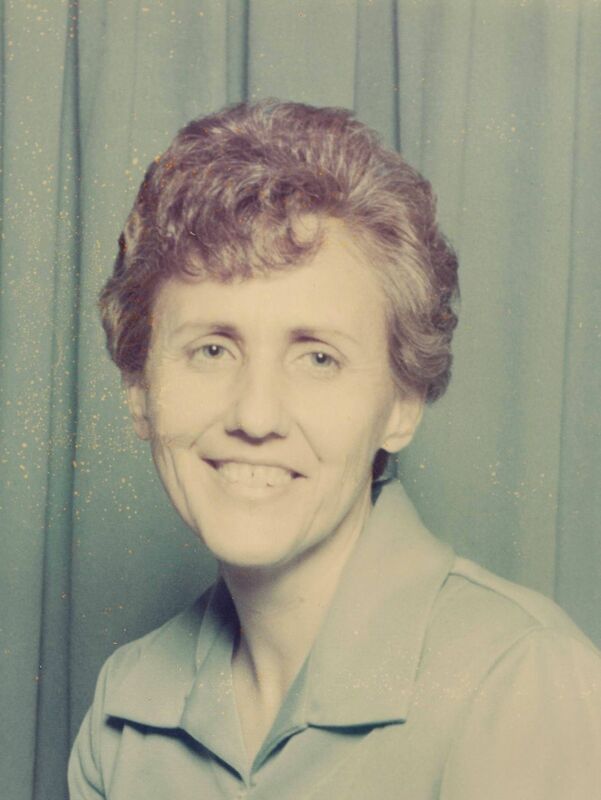 Annie worked at IL State School (Now known as Lincoln Developmental Center), St. Patricks Church Rectory (Now known as Holy Family), was a Foster Grandparent, assisted with the Head Start Program and a retiree from the State of Illinois. Annie was a member of Holy Family Church, very kind and gentle soul. She had a loving and generous heart and was always giving to others. She enjoyed providing for her family, cooking, park recreation, eating at Bonanza and Western movies! The family wishes to extend their gratitude to the doctors and nurses at Abraham Lincoln Hospital, Springfield Clinic, Memorial Hospital, the staff at Kroger Pharmacy, Help at Home, Memorial Home Health, Visiting Nurses and Therapist for all their support in her final months and days. In lieu of flowers, Memorial donations can be made to the National Institute of Neurological Disorders and Stroke, NINDS. This is for research for early detection for Communicating and Non-Communicating Cerebrospinal Fluid, CFS. Visitation will be held on Tuesday June 13, 2017 from 5:00 p.m. to 7:00 p.m. at Fricke-Calvert-Schrader Funeral Home in Lincoln, IL. A service for Annie Davis will be held on Wednesday June 14, 2017 at 10:00 a.m. at Holy Family Church, Lincoln, IL with Father Simon Taabu officiating. Burial will follow at Camp Butler, Springfield, IL. James R. "Chub” Edwards, 74, of Lincoln, formerly of Beason passed away on June 6, 2017. James was born on December 6, 1942 in Beason, IL, the son of Eugene Hall and Rachel Elizabeth (Zook) Edwards. James is survived by one brother, Harry David "Bear” (Margaret) Edwards of Lincoln, two sisters: Carolyn Elizabeth (Gary) Schall of Springfield, IL and Marilyn Louise Jackson, two grandchildren, Austin Lee Jones of Lincoln, IL and Megan McGrath of Springfield, IL. He was preceded in death by his parents, two daughters, Carol Lynn Edwards and Vicki Viola McGrath, and one sister, Mary Catherine Bland. James was an avid NASCAR Fan, a member of the Beason Sportsman’s Club, the Chestnut Sportsman’s Club, and the Eagles Lodge #2708. He worked for Reckitt/Coleman and Beason Ag Center. Services for James will be held at 11:00 A.M. Friday, June 9, 2017 at Fricke-Calvert-Schrader Funeral Home in Lincoln, with Ron Otto officiating. Visitation will be held from 9:00-11:00 A.M. prior to services at the funeral home. Burial will take place after the services at Harmony Cemetery in Beason. 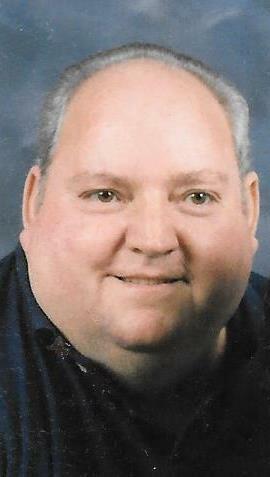 Memorial donations may be made in James’s name to the Beason Fire Department or Beason Sportsman’s Club. 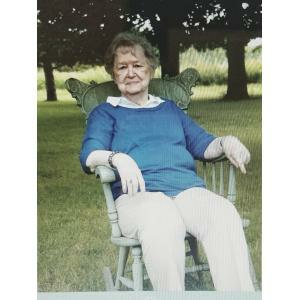 Martha Vorwerk 83 of Clinton, Illinois passed away 6:30 PM June 7, 2017 at Liberty Village, Clinton, IL. Martha was born March 10, 1933 in Christian County, KY the daughter of Roy and Mary (Hester) Morris. Survivors include her daughter-in-law: Kathy Evans, Clinton, IL; grandchildren: Matthew Evans and Kristin Evans; great grandson: Irie Evans; 2 sisters: Geneva Hughes, Evansville, IN and Ruby Underwood, Clarksville, TN. She was preceded in death by her parents, son Norman Evans, 7 brothers and sisters. Kevin Michael Lane 31 of Urbana, IL formerly of Clinton, IL passed away 1:12 PM June 5, 2017 at his family residence, Urbana, IL. Services will be 1 PM Friday, June 9, 2017 at the Lane Christian Church, Lane, Illinois with Jim Kilson officiating. Burial will follow at Blue Valley Cemetery, Adams, County, Nebraska. Visitation will be 12 Noon to 1 PM on Friday at the Church. Calvert Funeral Home, Clinton, Illinois is in charge of arrangements. 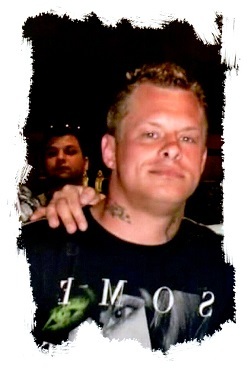 Memorials may be directed to Kevin Michael Lane Memorial Fund. Kevin was born July 26, 1985 in Clinton, IL the son of Kenneth L. and Kay E. (Long) Lane. Survivors include his daughter: Daisy Lane; mother: Kay (Jerry) DeMuth, Ayr, NE; father: Kenneth Lane, Clinton, IL; siblings: Sherry (CJ) Hawkins, Clinton, IL, Dean Lane, Ayr, NE, Lisa (Mike) Nissen, Harvard, NE, Kristina (Josh) Deerwester, Clinton, IL; step-sisters: Josie DeMuth, Jocelyn (Nick) Glore; nieces & nephews: Alexis Remmers, Hailee Hawkins, Olivia Hawkins, Dylan Wold, Rylie McAleese, Victoria Nissen, Jaxton Nissen, Samantha Nissen, Aaron Nissen, Alex Deerwester, Logan Deerwester; step-nephew & step-niece: Judah Glore and Jessa Glore. Kevin was baptized at the Lane Christian Church. He graduated from Blue Hill High School in 2003; then moved back to Illinois. Kevin was employed as a warehouse supervisor. He enjoyed fishing, animals, music and riding four wheelers. With pens or tattoos, Kevin was an amazing artist. Kevin was a family man and loved spending time with his nieces and nephews. 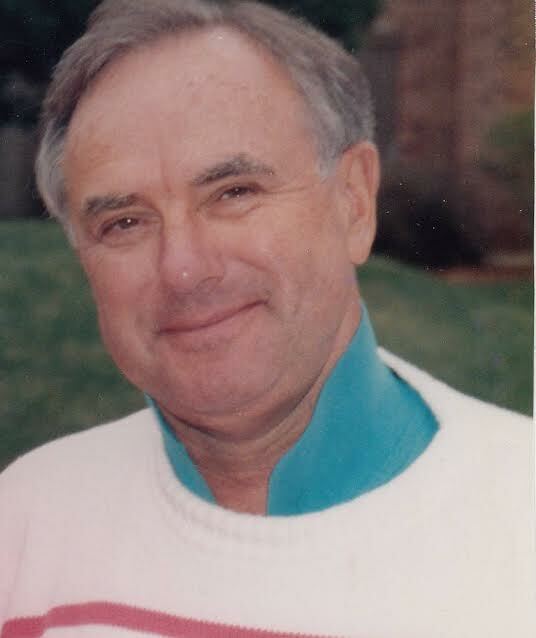 Richard Thomas Morgan, 84, passed away at Memorial Medical Center on June 5, 2017 at 5:55 am. Richard was born on December 27, 1932 in Virden, IL; son of Harold and Phyllis (Thirlwall) Morgan. He married Sandra Jannette Beaver on July 4, 1963 in Girard, IL. She survives him. Also surviving are his children: Kathy (Al) Anderson of WI, Greg (Jolene) Morgan of UT, Rodney (Justine) Morgan of Lincoln, Rhonda (Don) Howard of Lincoln, Rochelle (Richard) Joseph of Lincoln, and Randy (Laura) Morgan of CA; one sister: Geraldine(Clyde) Stone of Havana, IL; 13 grandchildren: Eric, Garrett, Jacqueline, Ryker, Katrina, Skylar, Noah, Lucas, Jackson, Brittany, Morgan, Megan, and Owen; 12 great-grandchildren. He was preceded in death by his parents, one sister and one son-in-law. Richard served in the United States Navy in the Korean War. He was a member of St. Johns United Church of Christ, was a deacon for many years and helped with repairs, the American legion #263, and Boy Scout leader. 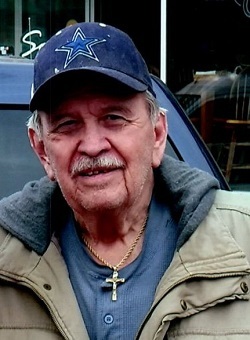 He specialized in making shelves and trunks, he was an avid outdoorsman, enjoyed working in the yard, camping, and in his retirement years ran Pine Tree County Crafts. He was a manager of a shoe store, carpenter, electrician, and retired as a correctional officer. A memorial service will be held at 6:00 p.m. Friday June 9, 2017 at Fricke-Calvert-Schrader Funeral Home in Lincoln. Visitation will be 2 hours prior to service (4:00-6:00 p.m.) Burial at Lucas Chapel Cemetery will be held at a later date. Memorials may be made in Richard’s name to the Humane Society of Logan County, Logan County Food Pantry, or American Legion Post #263. 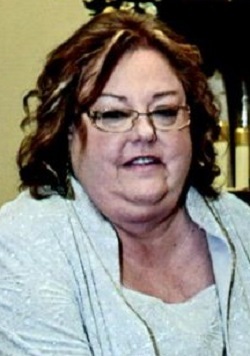 Paula Mills, 59, passed away at Abraham Lincoln Memorial Hospital on June 3, 2017 at 11:24 a.m.
Paula was born on September 12, 1957 in Springfield, IL; daughter of Myron and Patricia (Burg) Mizeur. Paula is survived by her mother, her daughter: Katie (Luke) Hanger of Lincoln, IL; one grandson: Harrison Hanger of Lincoln, IL. She was preceded in death by her father and sister: Pammy Mizeur. Paula was a graduate of Ursline and I.S.U. she retired from Illinois Department of Corrections as a counselor. Through the years at Logan County Corrections she made lasting friendships which continued through get togethers and the birthday clubs. Paula enjoyed trips to Riverboats, Las Vegas, Florida, and Europe. She became a Cub fan later in life plus NCAA basketball and avid QVC fan, but her #1 fan was her grandson Harrison. Her infectious laugh and sense of humor will be remembered forever. Services for Paula will be 11:00 a.m. Thursday June 8, 2017 at Holy Family Catholic Church with Rev. Geoffrey Horton officiating. Visitation will be 2 hours prior to service (9:00-11:00 a.m.) also at the church. Burial will be at 2:00 p.m. at Calvary Cemetery in Springfield ,IL. Memorials may be made in Paula’s name to Carroll Catholic School of the Humane Society of Logan County. Services are entrusted to Fricke-Calvert-Schrader Funeral Home in Lincoln, IL. Sim Simpson Jr., 78, of LeRoy, passed away at 5:06 P.M., Saturday, June 3, 2107 at OSF St. Joseph Medical Center, Bloomington. There will be a visitation from 6:00 to 8:00 P.M., Friday, June 9, 2017 at Calvert-Belangee-Bruce Funeral Home, LeRoy. Memorial contributions may be made to the LeRoy Fire Department, LeRoy Emergency Ambulance Service, or LeRoy Police Department. He was born March 5, 1939 in Harlan, KY, to Rusaw and Mossie Saylor Long. He married Lona Gayhart on January 25, 1964 in Lancaster, KY. She survives in LeRoy. Also surviving are one daughter, Teresa G. (Roger) Shoemaker of LeRoy, one granddaughter, Kaycee Shoemaker of Louisville, KY, and one sister, Thelma (Wayne) Austin of Woodward, IL. He was preceded in death by his parents; his uncle that raised him, Sim Simpson Sr.; one daughter, Barbara Lynn Simpson; six brothers; and four sisters. 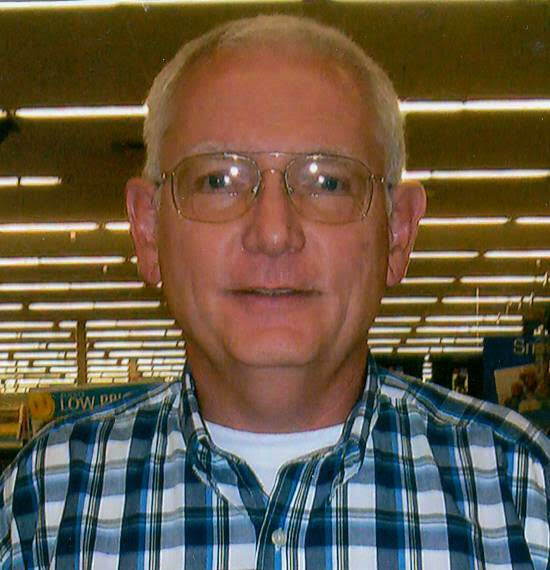 Sim had worked for Done Stone Ford in Bloomington and retired from ISU Building Services in 1985. 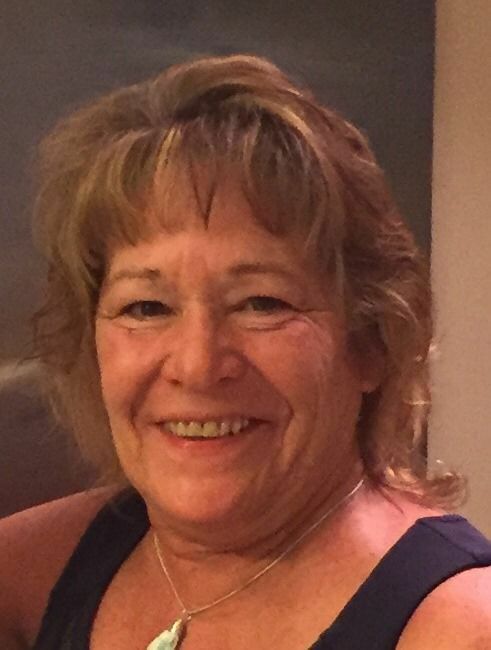 Mary Janice “Jan” Clark, 61, of Mansfield, IL, lost her battle at 4:12 P.M., Wednesday, May 31, 2017 at Barnes-Jewish Hospital, St. Louis, MO surrounded by her loving family. Funeral Service will be 1:30 P.M., Tuesday, June 6, 2017 at the Mansfield United Methodist Church with Pastor Ed Davis officiating. Burial will be in Mansfield Cemetery, Mansfield, IL. Visitation will be from 5:00 P.M. – 7:00 P.M., Monday, June 5, 2017 at Calvert-Belangee-Bruce Funeral Home, Farmer City, IL. Memorials may be made to the Pulmonary Fibrosis Foundation, 230 East Ohio St., Chicago, IL 60611. Jan was born January 8, 1956 in Kankakee, IL, a daughter of John Lewis and Ann Steichen Mortenson. She married Michael David Clark on May 8, 1981 in Urbana, IL. She loved her family and animals, especially her Monarch Butterflies who visited her every September. Her pride and joy were her children and sweet grandchildren. She is survived by her husband of 36 years, Michael; her son, Tucker; her daughter, Morgan; granddaughter, Savannah; grandson, Spencer; brother, Jerry (Joy) Mortenson; sister, Julie (Rich) Inda. Preceded in death by her parents, daughter, Alexandria and brother, Terry. Jan retired after working 35 years as a printer for Colwell Printing, Champaign, IL. Kathryn D. “Kathi” Silvey, 55, of Easton passed away on Tuesday, May 30, 2017 at HSHS St. John’s Hospital in Springfield, IL. Kathi was born on December 20, 1961 in Pekin, IL the daughter of Charles and Donna (Cain) Isom. She married Randy Silvey on December 24, 1988 in Hudson, IL. He preceded her in death on November 23, 2008. Kathi is survived by her children: Shannon Silvey, Shane Silvey, and Kassidy Silvey all of Easton; her mother, Donna Isom; her granddaughter, Opal; and her fiancé, Michael Calhoun of Easton. She was preceded in death by her father, husband, and her brother. A memorial service for Kathi will be held at 6:00P.M. on Monday, June 5, 2017 at Fricke-Calvert-Schrader Funeral Home in Lincoln. Visitation will be held two hours prior to the service (4:00-6:00P.M.) also at the funeral home. Memorial donations may be made to the family of Kathi Silvey. Dustin Richard Smith 29 of West Palm Beach, Florida passed away at 10:53 A.M. May 28, 2017. Services will be 10 AM, Wednesday, June 7, 2017 at Calvert Funeral Home, Clinton, IL with Ernie Harvey, Jr. officiating. Burial will follow at Oak Park Cemetery, Clinton, IL. Visitation will be 6 – 7 PM, Tuesday, June 6, 2017 at the funeral home. 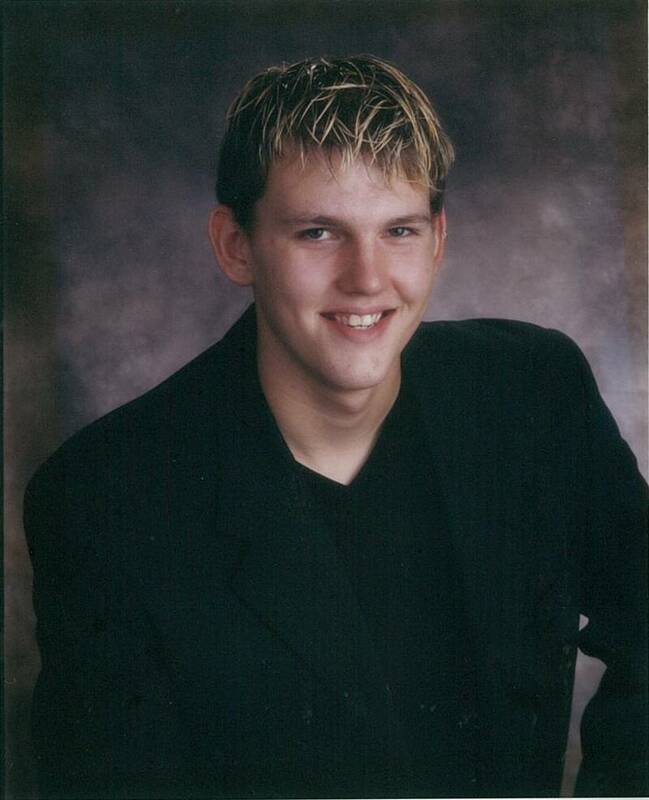 Memorials may be directed to the Dustin Richard Smith Memorial Fund. 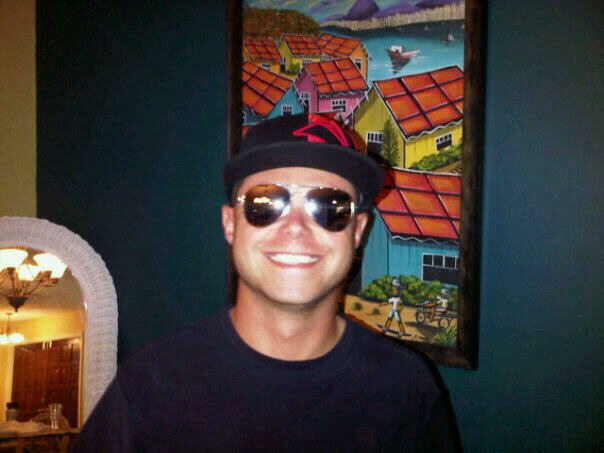 Dustin was born November 15, 1987 in West Palm Beach, FL the son of Richard D. and Denise (Marsalona) Smith. Survivors include his father, Richard Smith, Baytown, TX; daughter, Lucy Lynn Smith, Murphy, N.C.; sister, Daniella (Sean) McClutchy, Lutz, FL; niece, Sloan and nephew, Hendrix; uncle, Terry (Sara) Smith, Clinton, IL; step-mother, Olga Torres, Baytown, TX; step-sister, Veronica (Hector) Perez, Atascocita, TX; and step-nieces Emma and Maya. He was preceded in death by his mother, Denise Smith; grandmother, Rose; and aunt, Christine of West Palm Beach, FL. Dustin was a dedicated father and son. He took pride in all his work and accomplishments. 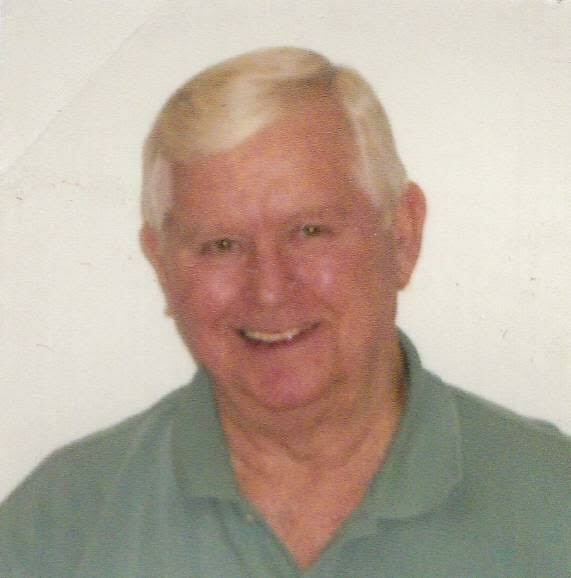 He was an avid sports fan and loved the outdoors. Always putting others before himself, he was a friend to all. Gone way too soon, may he rest in peace. Stanley C. Walden, 82 of Clinton, Illinois passed away 2:33 PM June 1, 2017 at St. John's Hospital, Springfield, Illinois. Memorials may be directed to MS Talk, Inc. or the Dr. John Warner Hospital Foundation. Stanley was born June 19, 1934 in Solomon, IL the son of Harry and Clara Ethel (Gibson) Walden. He married Dixie Rees October 14, 1954 in Clinton, Il. Survivors include his wife, Dixie Walden, Clinton, IL; children, Bruce (Liz) Walden, Urbana, IL; and Paula (Chuck) Nelson, Clinton, IL; 3 grandchildren: Jessica (Cory) Black, Riverside, IL; Jennifer (Matthew) Horn, Inverness, IL; and Tyler Walden, Champaign, IL; 3 great-grandchildren: Johnny Walker Horn; Thomas Walden Horn; and William Clifford Black; several nieces and nephews also survive. watching his grandchildren and great-grandchildren in their activities. Rev. Virgil L. Sprunger, 95, of Lincoln, formerly of Elkhart, IL, passed away at 9:00 A.M. Saturday May 20, 2017 at Villa Health Care East in Sherman. 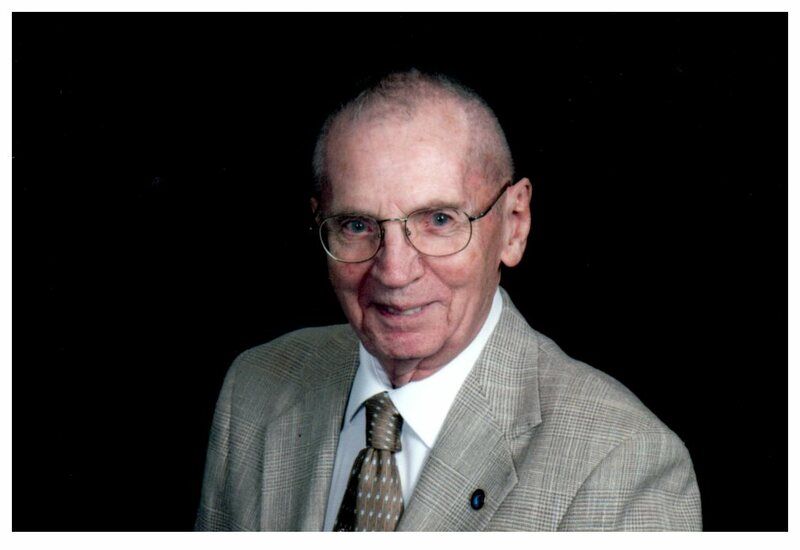 Mr. Sprunger was a member of the clergy for 40 years serving as a Nazarene Pastor in Ohio, chaplain at the Illinois Youth Center in Geneva, IL and senior chaplain at Logan Correctional Center, retiring in 1985. He was a member at the Church of The Nazarene and attended Elkhart Christian Church. 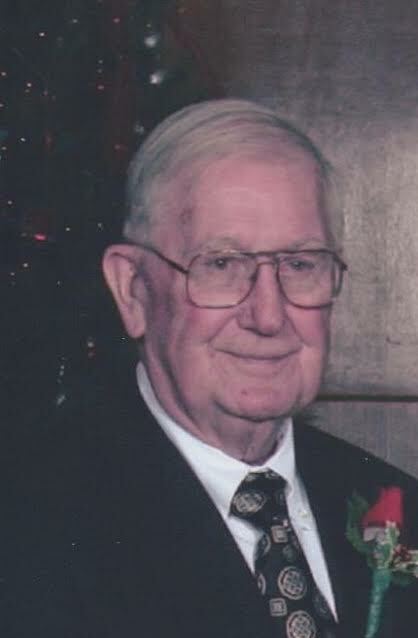 Mr. Sprunger also served as village clerk for Elkhart for many years. Mr. Sprunger was born in Adams County, IN on December 29, 1921, son of Leo and Mary Sprunger. He married Mary Anna Snuggs on June 10, 1944. Mary Anna passed after 61 years of marriage on October 23, 2005. He is survived by his daughter: Linda Jeanne Tilghman of St. 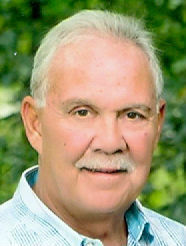 Cloud, FL; two grandchildren; three great-grandchildren; one brother: Fred Sprunger of IN; several nieces and nephews. He was preceded in death by his parents, son-in-law: Jerry, grandson: Marcus, and brother: David. A Celebration of Life service will be held at 11:00 A.M. Saturday June 10, 2017 at the Elkhart Christian Church with Stacy Popejoy officiating. Mr. Sprunger donated his body to science as did his wife Mary Anna upon her death. Memorials may be given to Elkhart Christian Church. Services are entrusted to Fricke-Calvert-Schrader Funeral Home in Lincoln, IL. 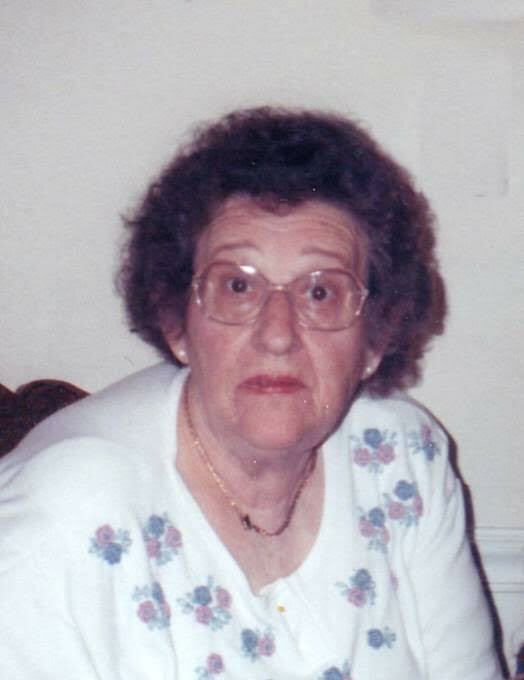 Pauline F. Boward, 85, of Lincoln passed away on Tuesday, May 30, 2017 at The Christian Village in Lincoln. Pauline was born on February 28, 1932 in Lincoln, the daughter of James B. and Ethel (Ritchhart) Wright. Pauline married James L. Boward on January 1, 1950. He preceded her in death on June 1, 2001. Pauline is survived by her two daughters: Connie (Roger) Boss, and Carol (Rick) Charron, both of Lincoln. Also surviving are seven grandchildren: Brad (Laura) Boss of Clarksville, TN; Erica (Josh) Maynard of Lincoln; Brock (Abby) Boss of Towanda; Austin (Heidi) Charron of Peoria; Brayton (D’Lisa) Boss of Morton; Kyle (Brooke) Charron of Elkhart; and Brennan Boss of Phoenix, AZ. In addition, she is survived by 19 great-grandchildren. She was preceded in death by her parents, three sisters, and one brother. 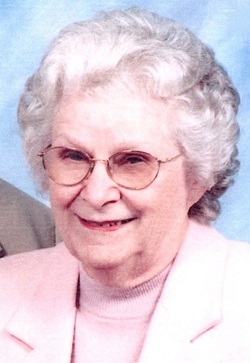 Pauline worked as the teletype operator for Sears, Roebuck & Co. for 19 years and was then employed as secretary at Chester-East Lincoln School for 17 years retiring in 1988. 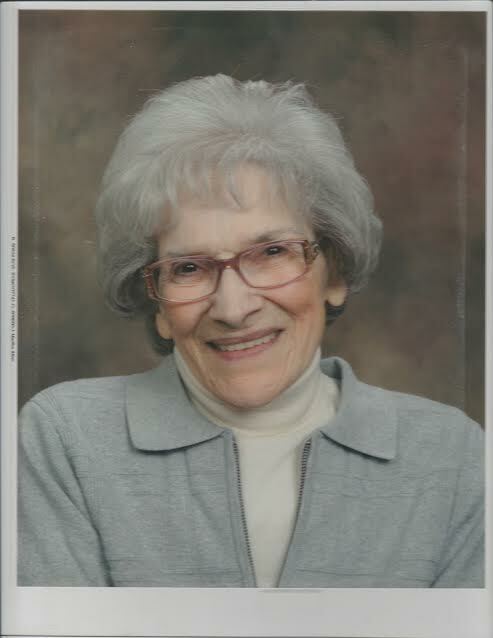 She was a member of the First United Methodist Church of Lincoln, The Rachel Circle, Royal Neighbors of America, the Oasis Senior Center, and The Round Robin Pinochle Club. A memorial service for Pauline will be held at 11:00A.M. on Saturday, June 24, 2017 at The First United Methodist Church in Lincoln with Brad Curtis and Ryan Edgecombe officiating. Visitation will be held two hours prior to the service (9:00-11:00A.M.) also at the church. Burial will follow the services at Richmond Grove Cemetery in New Holland. In lieu of flowers, memorial donations may be made to The Christian Village Grace Point,Woods Foundation Garden Villa, or Safe Haven Hospice.